Ocean America Food SA Oceamersa is counted amidst the leading Exporters and Suppliers of Dried Fish Maw. 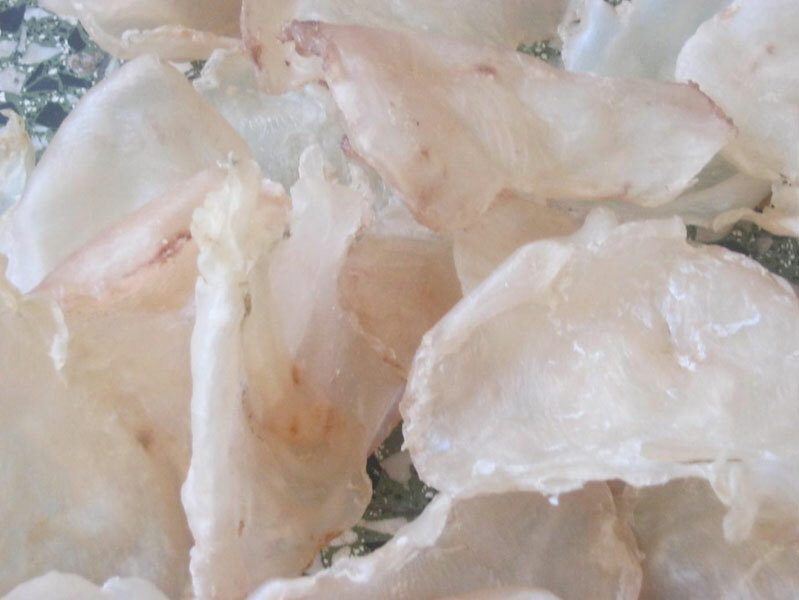 We offer Dried Fish Maw from Congrio (Pink Brotula), round shape and from Yellow Croaker, large shape. We have all the certificates available, and currently we offer Dried Fish Maw up to 700 Kg per week. Owning to rich taste, freshness and quality, Dried Fish Maw is widely demanded by all seafood lovers. Clients can avail hygienically processed and packed the Dried Fish Maw from us in different sizes at the most reasonable prices.